Make your next event legendary when you announce it in style with the Paris Pink and Black Poster. Fit to grace the most sophisticated spaces, this poster template brings the glamour and shine of the City of Light to your attendees. 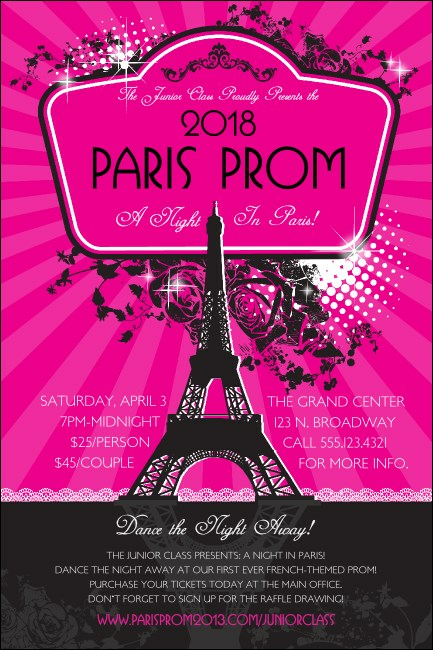 Against a pink background, the iconic Eiffel Tower rises, setting the scene for the best prom or Sweet Sixteen ever! TicketPrinting.com is your source for professional print collateral.